Gazelle Enterprise is one of the most recognized name in the corporate world for being the “Leading Manufacturer of Temporary Tattoos, Stickers and Promotional Items in India”. Gazelle became the largest manufacturer of Temporary Tattoos and Stickers in India by delivering orders in mere 60 days to Frooti, a Parle Agro product which is also the largest-selling mango drink in India. 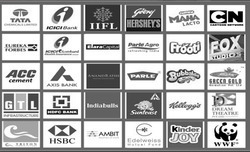 Since then Gazelle has been a preferred brand in promotional item segment for its ability of mass production of low-cost quality products made in India and have catered likes of Cartoon Network - POGO ( Turner International), Godrej Hersheys (Nutrine Mahalacto), ITC (Sunfeast), Parle Agro (Frooti), Parle Foods (Smoothies), GlaxoSmith Kline (Horlicks), Mumbai Indians (Reliance Industries) and so on. The product is manufactured in India and is certified to be safe as per the European EN71 standards. Our vision has been “Developing international standard products locally, at cheapest price and be a dedicated source of supply of uniquely designed ‘Made In India’ promotional products”. Gazelle now has the higher market share in promotional item premiums and is one of the most trusted company in India with a strong clientele base. Recently Godrej Hersheys preferred Gazelle to manufacture Tattoos And Stickers for their biggest campaign ever and certified our product to be of highest quality. Our responsiveness, speed of work was termed as “Top Notch”, despite extremely tough and complicated packing. Our Licensing Partners, Dream Theatre is an entertainment company that uses the power of licensing to build in-house brands thereby creating delightful experiences for its audience. This covers products and creations from Warner Bros, Noddy, Mr. Men and Little Miss, Animal Planet, Discovery Channel, WWE, Dream Works, Angry Birds, Power Rangers etc. We strive to offer superior quality printing to our valued clients and ensure that all processes are stringently controlled to provide international quality products. 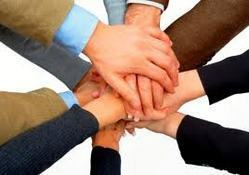 We collect accurate details from our clients and then provide as per their specifications. We ensure our clients for zero-defect. All the inspections are as per the set industry standards and quality norms. Our quality collection is delivered within committed time periods. Utmost customer satisfaction is our main motto and to achieve this we have formulated some business principles in our firm. We make sure that our printing services are provided without any flaw and also come under the budgetary controls of the customers. 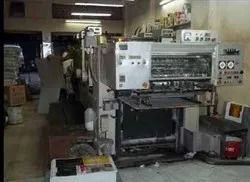 Some of the printing services we offer includes corporate tattoos, promotional tattoos, glowing tattoos, glittering tattoos, pressured based tattoos, jigsaw puzzles, offset printing, sticker printing, poster printing, danglers printing and others.